Sydney Shop Girl: The Voice. 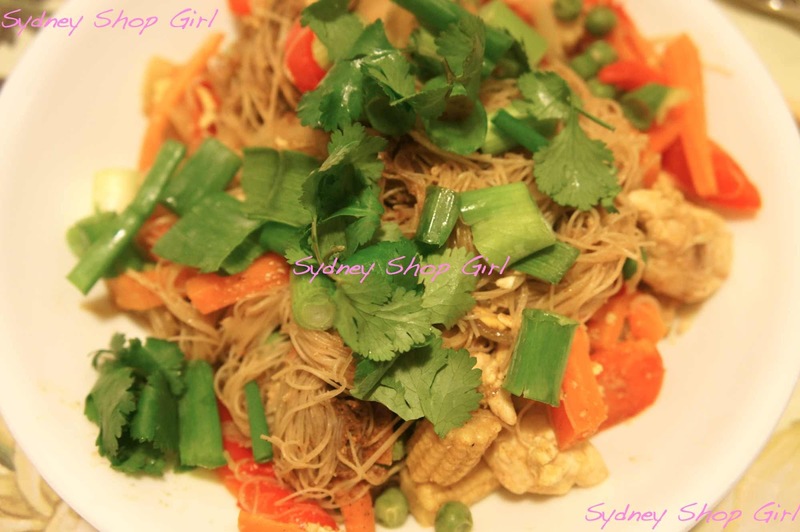 Marion's Singapore Noodles. Bouncing Back Like Tigger. The Voice. 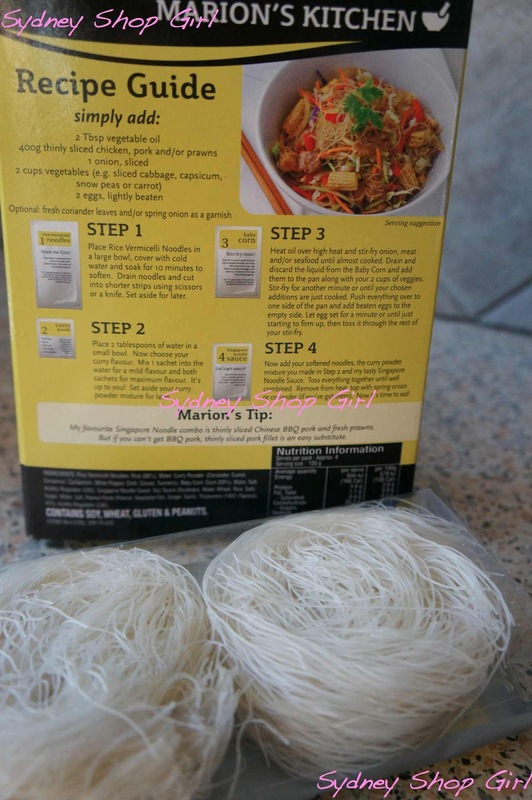 Marion's Singapore Noodles. Bouncing Back Like Tigger. Well, helloooo!!! If I could make those words Tigger bounce for you, I would. I'm about 230% the person I was yesterday thanks to some time on the couch holding a pity party for myself before sleeping for what felt like 3 days. 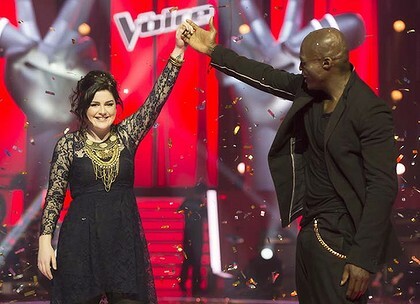 The price I paid for this dramatic turn around is that I slept through the final of The Voice Australia. Congratulations, Karise!! One thing I really enjoyed about the Australian version of The Voice was the fact that none of the finalists were 'pop' artists. They all have incredible talent in other music genres and their competition singles are doing really well on the iTunes charts. I hope that their success adds another diamension to the Australian mainstream music industry. From The Voice to Masterchef. I was recently approached by Magnum PR to see if I was interested in reviewing Marion Grasby's latest addition to her Marion's Kitchen range of meal kits. Marion was a finalist in the 2010 series and as far as I know, is the only finalist to have a food range available in supermarkets nationwide in addition to her book, 'Marion: Recipes and Stories From A Hungry Cook'. 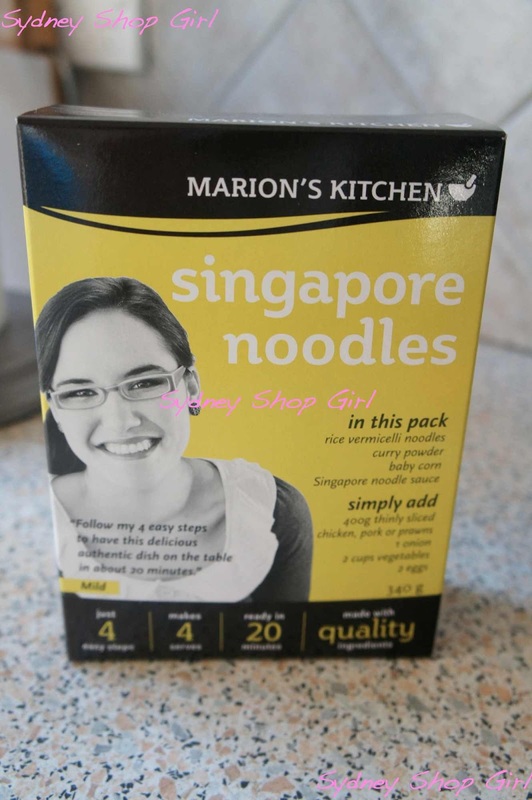 Marion decided to develop the Singapore Noodles recipe kit based on feedback from fans of her Facebook page. A quick and tasty version of these noodles proved to be the most popular choice amongst her fans. The kits are described as having 'all the essentials in one box' and retail for $6.99. This was the first of Marion's products that I have tried and I was instantly won over by the colourful, friendly and informative packaging. Each kit is meant to serve 4, but if you're catering to pregnant woman and her husband who has built up a huge apetite from singlehandedly doing the weekend's housework, for the Singapore Noodles, it's closer to 2 full serves plus some leftovers (minus the noodles) for a lunch or light dinner. 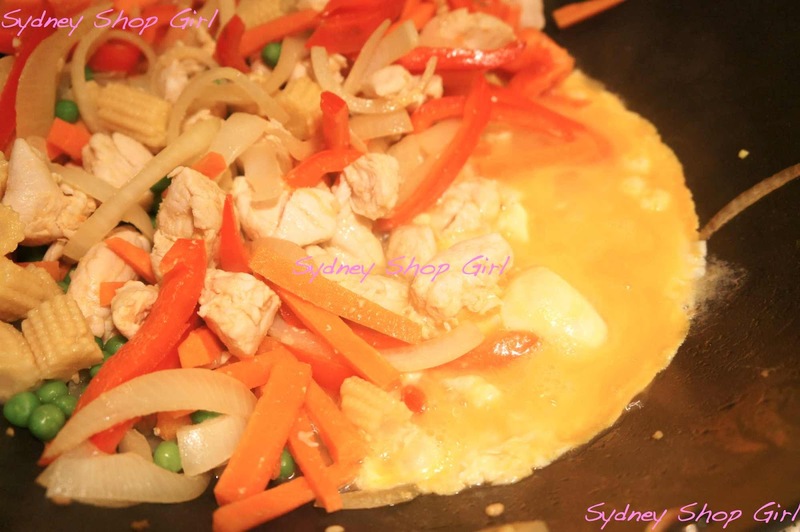 The only ingredients not provided in the kit are your choice of meat, an onion, stir fry vegetables and 2 eggs. Marion offers suggestions for the meats and vegetables she likes using. 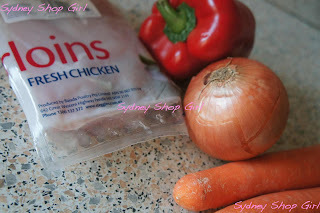 I also chose to add the suggested garnishes of fresh coriander and spring onions. In addition to the comprehensive intructions on the back of the box, each ingredient sachet offers fun, numbered prompts to help you in the heat of the stir frying moment. 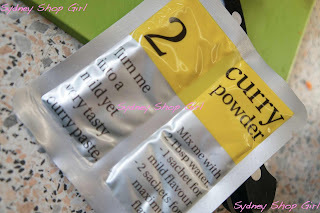 I especially enjoyed the curry powder instructions where the heat of the noodles could be altered depending on whether you used one or two powder sachets. Cute and clever. It was very easy to follow the instructions and each sachet worked as it should. The noodles softened after the 10 minute soak in cold water and cutting them into shorter lengths and Marion's instructions suggested really did make the stir frying (and eating) easier. 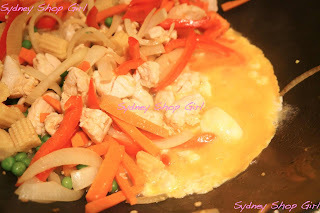 There was even an exciting (for me) chef moment where the beaten eggs needed to get cooked in the wok whilst the rest of the stir fry was still present. I just managed to pull it off. The end result was a light and filling meal. The taste was different to what I'm used to, with a zingy 'Thai' flavour in addition to the heavier Chinese flavours but I'd definitely give Marion's kit another go if I felt the urge to make Singapore Noodles at home again. 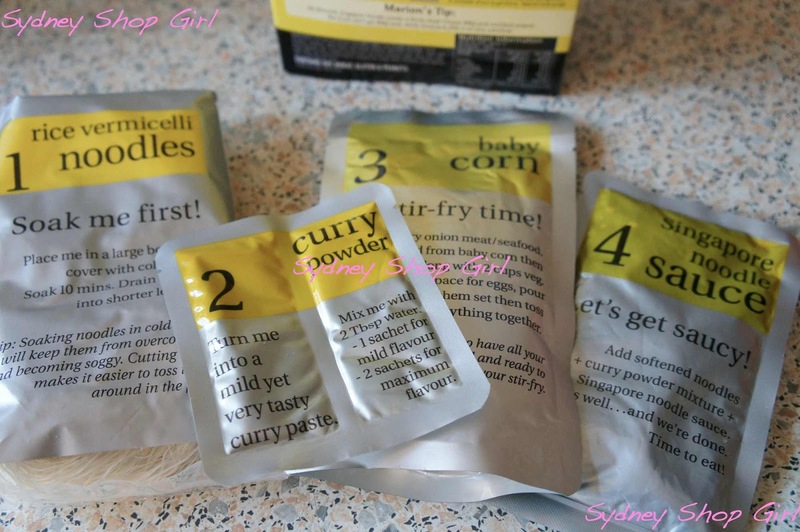 Thanks again to Sophie and Sascha for asking me to sample this kit and also to Marion (@marionskitchen) who kindly replied to my tweet with a request for a return tweet when my review was on the blog. Cardi - M Missoni, dress - Isabella Oliver, necklaces - Run For Office and Faux Fuchsia Orange by Red Phoenix Emporium. The bright colours of my Singapore Noodles dinner inspired my outfit for today. Nothing like a bit of Missoni on a sunny winter's day. I've made some wise investments this year on the internet and they say that nothing breeds success like success. Which is how I like to explain the fact that I've placed another order at Isabella Oliver today. All heavily discounted, I might add. Well, that's about it from 230% me. I'm so glad to be feeling sparkier and just in time for this glorious week of sun forecasted for Sydney right now. I've even taken a punt on the weekend and booked dinner for Saturday night. That's right, a date night off the couch! I'm all set for an evening with Australian Gourmet Traveller, a cup of tea and the world of Lara Bingle on the television. I wonder which of her fashion designer pals she'll drop in on this week? I've tried Marion's thai green curry and LOVE it! Two nights ago I gave the thai basil stir fry a try too and it was AMAZING. That range is a favourite at my house! I tried the one in the purple box - can't remember which one it is - it was delish. Good to hear you're operating above capacity. 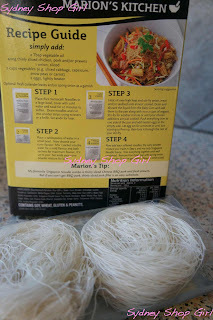 The noodles look amazing and I love the easy step by step instructions on them. You're totally rocking that Isabella Oliver dress! I like your outfit and the noodles looks yummy! i feel hunger..